RCB captain Virat Kohli spoke about the positives from the defeat to CSK in the IPL 2019 opener. Royal Challengers Bangalore (RCB) captain Virat Kohli, speaking after the 7-wicket loss to Chennai Super Kings (CSK) in the opening match of IPL 2019 on Saturday, said his side have some positives to take despite the margin of defeat. He lauded his bowlers for taking the match to the 18th over despite having a meagre total of 70 runs to defend. Kohli also heaped praise on 26-year-old fast bowler Navdeep Saini. "Navdeep will play a big role in the time to come," Kohli said. Navdeep Saini was handed his IPL debut for RCB on Saturday. The tall speedster, known for clocking bowling speeds above 140 kmph, came into the spotlight after playing an instrumental role in Delhi's march to the 2017/18 Ranji Trophy final. He had been picked in the IPL auction by RCB for the 2018 season, but the IPL 2019 opener was the first time he was picked in the playing XI. 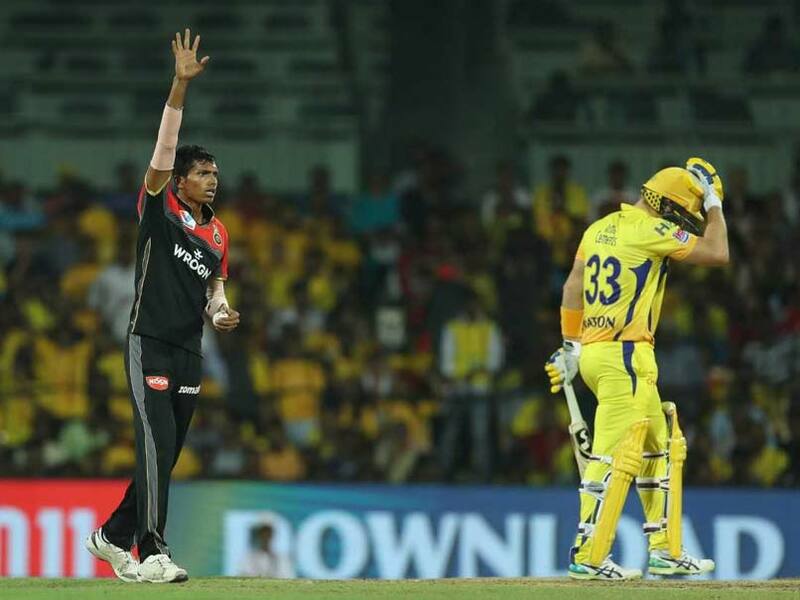 Saini went wicketless in his four overs, but his pace and variations of length gave ample trouble to the CSK batsmen. He had Shane Watson unsuccessfully ducking for cover with his third ball, managing to hit the CSK opener's helmet with a fast bouncer on a pitch which otherwise offered little help for pacers. Speaking about Saini's debut, Kohli said, "He has been good in conditions where there's some grass, he has got his chance now." The skipper further said, "No one wants to start like this, but it's good to get a game like this out of the way this early in the tournament. We spoke of trying to be in the game, taking it to the 18th over was nice to see." "I thought CSK played really well, they deserved to win, but I loved to see our team fighting all the way," Kohli added.